I think cheesecake has to be one of my favourite desserts. I just love it, and love trying different flavour combinations. Now that it's British strawberry season, I knew these had to be incorporated into my next bake and with friends coming round for dinner, cheesecake was on the menu. 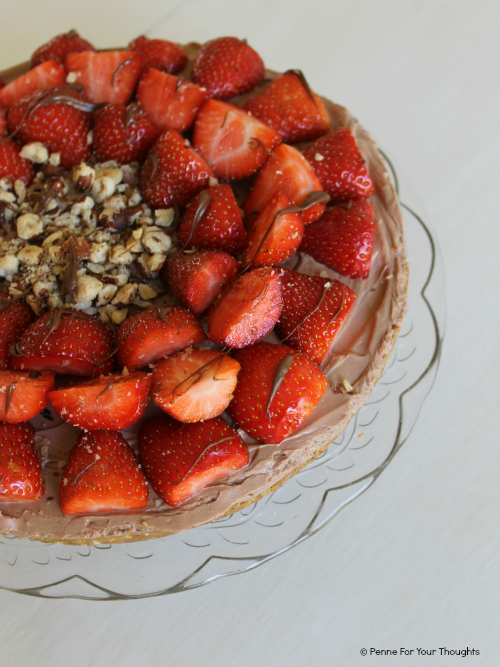 Having come across Nigella Lawson's Nutella Cheesecake, but never having made it was inspired to take elements of it (but not make it as rich) and add strawberries. It turned out great, the strawberries make it feel like such a light dessert, but it's still totally indulgent. With it being SUPER easy to make, and no bake, it's a great dessert for a summer dinner party of BBQ. 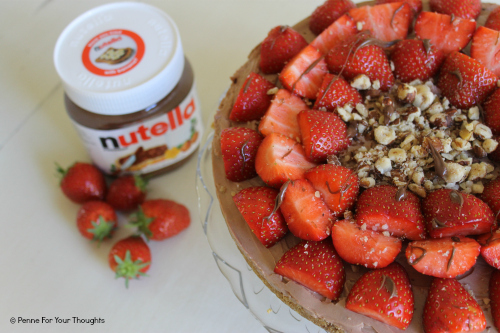 It's bound to be a hit with strawberries and nutella! 1. In a food processor blitz together the digestive biscuits, butter, 1 tablespoon of and a small handful of the hazelnuts until the mixture is like sand, add 1 tablespoon of the nutella and blitz again until the mixture is starting to stick together. 2. Press the mixture using your hands into a 20cm spring tin, and level out. Put into the fridge to chill whilst you make the nutella mixture. 3. Beat the cream cheese and the icing sugar together until smooth, then add the rest of the nutella (3 tablespoons) and continue to beat until all mixed together. 4. Top the biscuit base with the cream cheese topping and spread to level out. Put back into the fridge and leave to set for at least four hours. 5. To decorate, chop the strawberries down the middle and arrange around the cheesecake. Crush the remaining hazelnuts and scatter into the middle, and over the cheesecake. If you have any remaining nutella, flick it across the strawberries. Just love nutella? Try these Nutella Macarons from Emily's Recipes & Reviews or these Nutella Bites from Family Friends Food. This looks incredible! Pinned for when we have guests over during the summer! 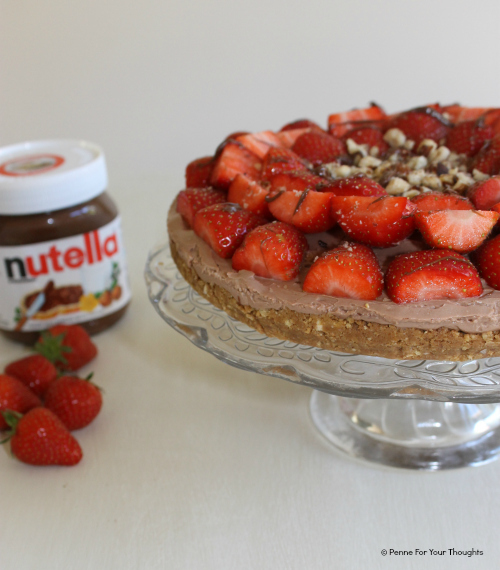 Nutella and Strawberries go so well together, perfect for summer barbecues. 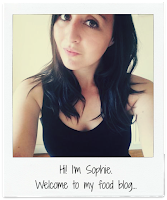 This looks amazing Sophie. I totally agree, I love cheesecake, especially a nice baked kind. This would be so perfect for a warm summer's day - like the ones we're having at the moment! Yum!